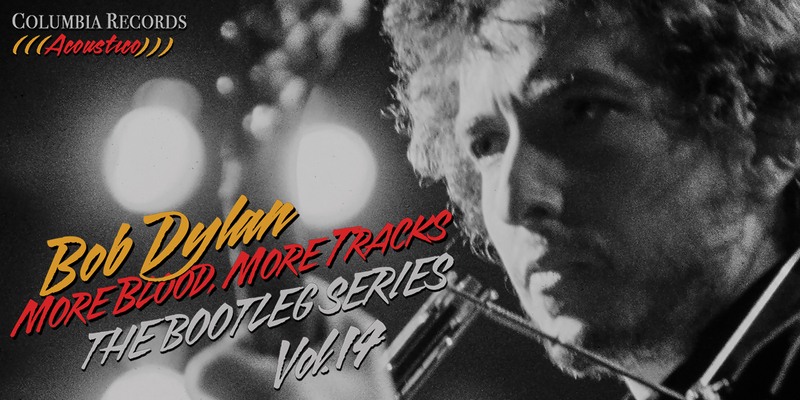 More Blood, More Tracks – The Bootleg Series Vol. 14 Now Available! 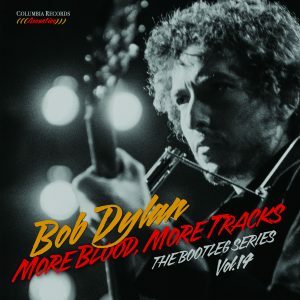 Columbia Records and Legacy Recordings, the catalog division of Sony Music Entertainment, has released Bob Dylan – More Blood, More Tracks – The Bootleg Series Vol. 14. The latest chapter in Columbia/Legacy’s highly acclaimed Bob Dylan Bootleg Series makes available the pivotal studio recordings made by Bob Dylan during six extraordinary sessions in 1974—four in New York (September 16, 17, 18, 19) and two in Minneapolis (December 27, 30)—that resulted in the artist’s 1975 masterpiece, Blood on the Tracks. One of the top-selling albums of Dylan’s career, Blood on the Tracks redefined the boundaries and structures of modern pop songwriting (a genre Dylan had virtually invented a decade prior), reached #1 on the Billboard 200, achieved RIAA 2x Platinum status and was inducted into the Grammy Hall of Fame in 2015.